The credit card issuers such as Capital One have been busy pulling the rug from under their most loyal customers where even a 10+ year relationship means nothing for the banks when it comes to continuing to offer cashback rewards, as customers will have been receiving a whole host of excuses as to why their cashback rewards are ending such as blaming the European Union proposed ruling on capping interchange fees on credit cards to 0.3% from a typical range of 0.6% to 0.8% currently charged on each transaction. However, these excuses to axe typically 0.5% cashback's fly in the face of credit card borrowing interest rates hitting record highs as the credit card companies continue their relentless squeeze on their customers that started with the introduction of balance transfer fees some 6 years ago and where today's axing of cashback for loyal customers just marks the latest step in a long trend. 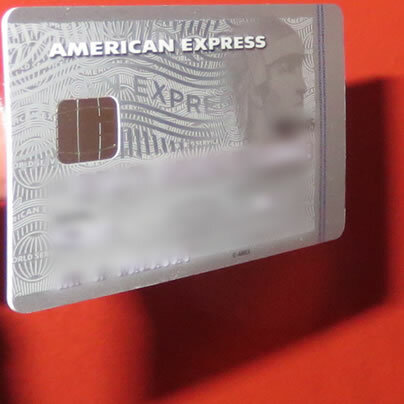 However, there is some good news for there are still several card suppliers offering cashback rewards cards to new customers, and so after trawling dozens of issuers the one that stands out amongst the pack is the American Express Platinum Cashback Credit Card. Which rewards new customers with a whopping 5% cashback for the first 3 months on upto £2k of spend, so that's £100 cashback for the first 3 months! and thereafter tiered cashback rates of upto 1.25%.Which compares against Capital Ones soon to end cashback card (1st June) that would require spending of £20k to achieve the same amount of cashback. Another important deciding factor is that unlike many cashback providers, the Amex cashback card does not charge an annual fee. As long as you spend a minimum of £3,000 in a year, almost every full pound you spend on your Card qualifies for cashback. Complimentary Supplementary Cards for family members. So a £10k spend over the first 12 months will earn cashback of £165, and £10k spent in subsequent years would earn cashback of £90. To generate a return of £90 per year one would need to leave at least £6.5k deposited in best paying instant access savings account. So how can Amex offer a cashback card whilst the others such as Capital One cannot ? Apparently American Express for the first 3 years will not be subjected to the proposed cap, so implies applicants should have 3 years or so before they too feel the impact of the interchange fee cap. As one would expect the application process is straight forward by completing an online form that for most applicants will prompt an "we will get back to soon" email response. The actual decision will follow in some 5-7days time, where if successful the actual card will arrive in another 2-3 days time. So the process from start to receipt of the Amex card should not take more than 10 days.